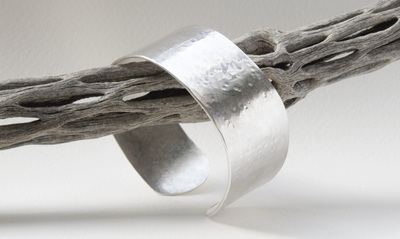 Silver jewellery handmade in Oxford. I also use semi-precious stones and the occasional touch of gold. 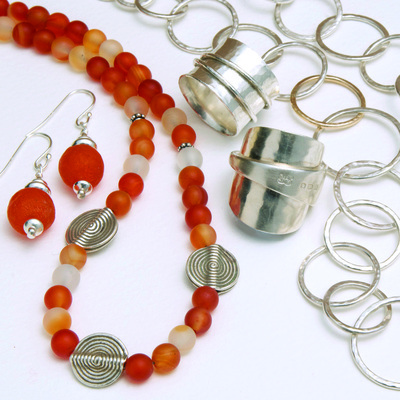 I mainly make silver jewellery and my silversmithing work combines clean lines and hammered textures, sometimes introducing beads to complement the silver. 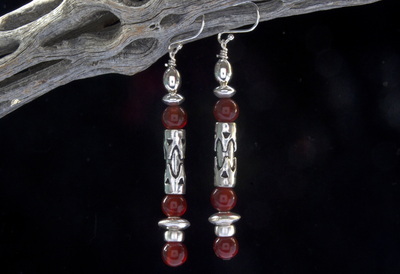 I also love to mix silver beads and pendants from all over the world with vibrant semi-precious gemstones. My aim is to create a piece of jewellery that is unique, distinctive and eye-catching, inspired by other cultures but mixed with my own style. I love old silver and beads, wondering what the story is behind them and who once wore them as adornment. My silver rings made from antique or vintage spoons are a variation on the same theme!